Sharren Haskel, Yehuda Glick, Ayoob Kara, Oren Hazan likely won't make it into next Knesset. 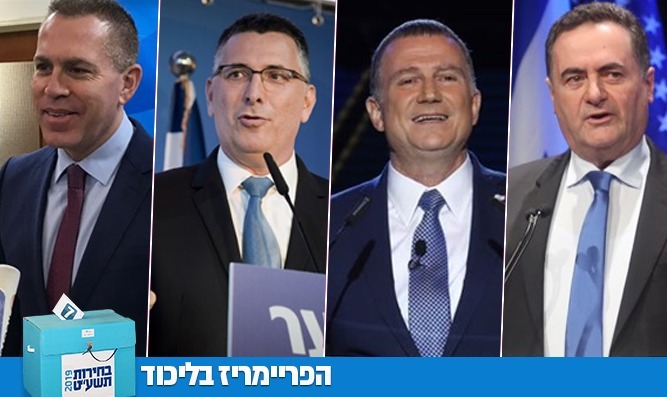 After counting all the votes in the Likud primaries, Knesset Speaker Yuli Edelstein was found to have come in first place, Transportation Minister Yisrael Katz came in second place, third was Minister of Public Security Gilad Erdan and fourth was Gidon Sa'ar. The top five is closed by Culture Minister Miri Regev, followed by Ministers Yoav Galant, Yariv Levin, and Gila Gamliel, together with former Jerusalem Mayor Nir Barkat and MK Avi Dichter. Sharren Haskel, Yehuda Glick, Ayoob Kara, Oren Hazan, Anat Berko, Nurit Koren, Nava Boker, and Yaron Mazuz did not receive realistic slots on the list. Prime Minister Netanyahu can secure the 21st place for whomever he wants. If his proposal is approved - as it appears - he will be given the option securing two more slots, in places 28 and 36, for people of his choice.